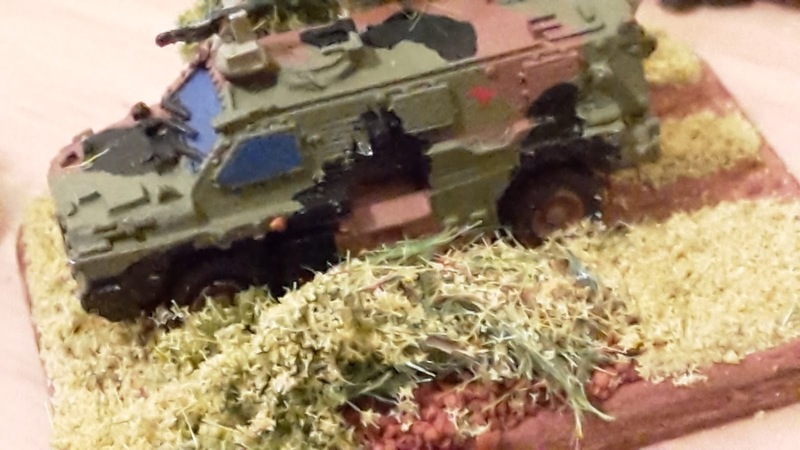 Well I have a bunch of photos of my different vehicles, so I thought I should put a few of them up before I go on! 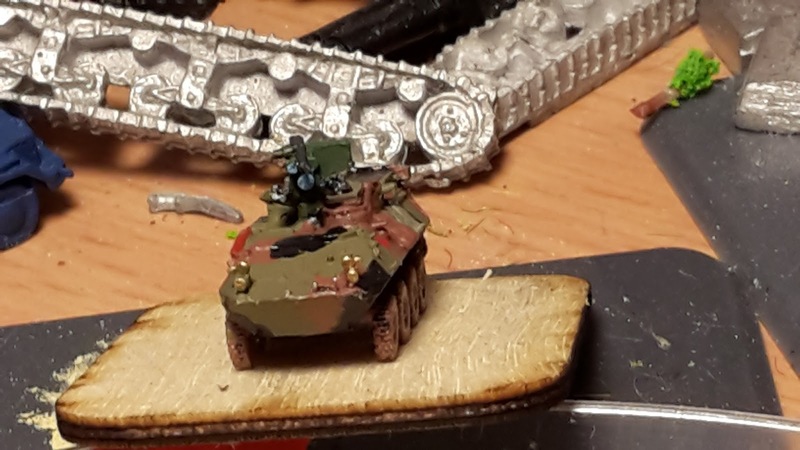 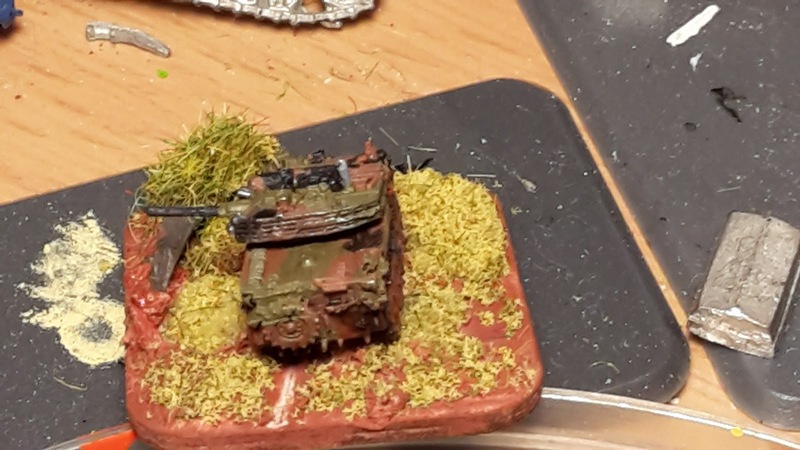 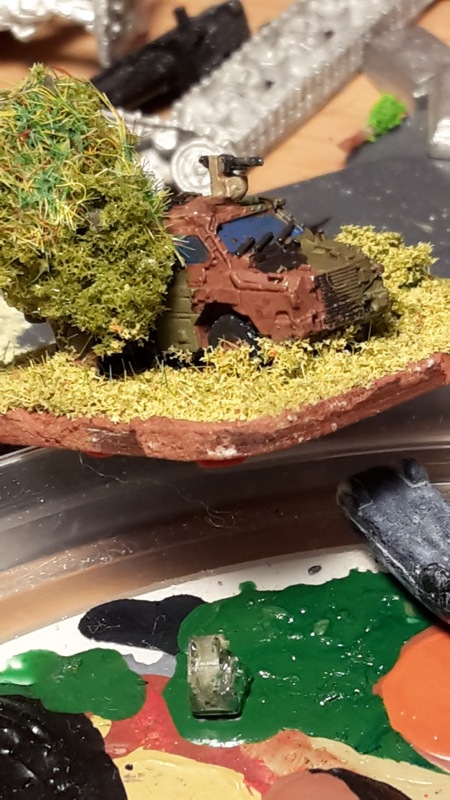 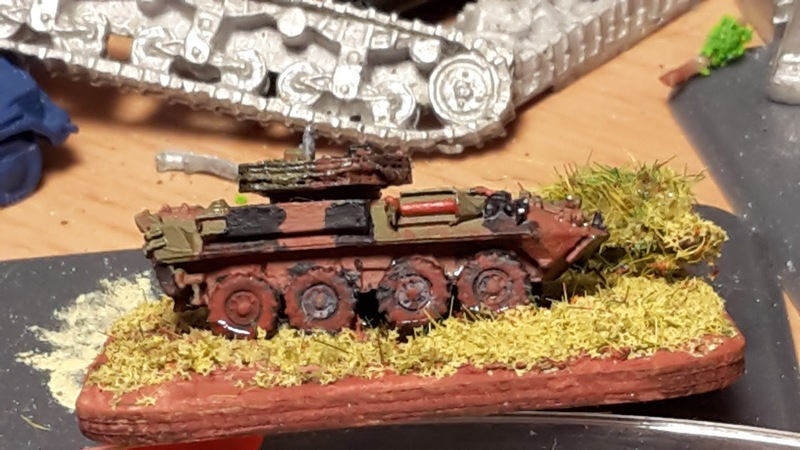 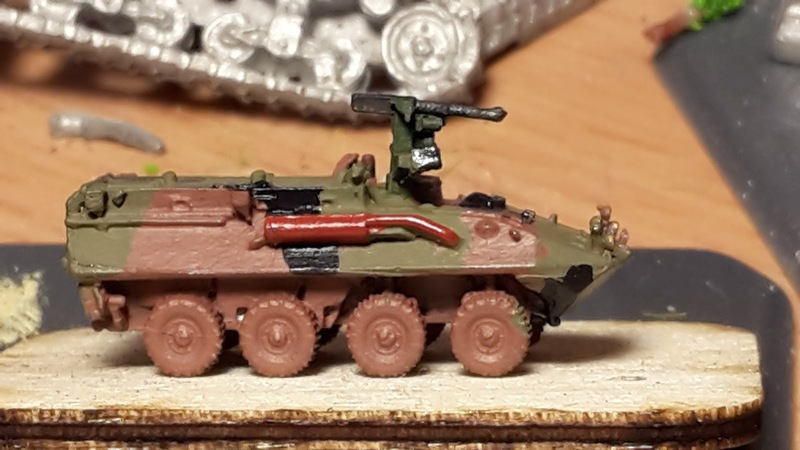 I have two vehicles totally completed for my Aussies so far - an ASLAV-25 and a Bushmaster. 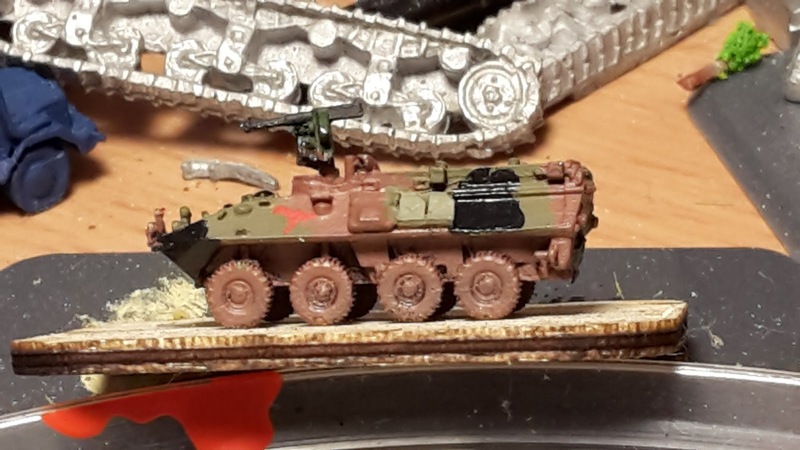 The vehicles look good originally, but a light wash with "ARMY PAINTER STRONG TONE" wash has really brought the completed vehicles to life! 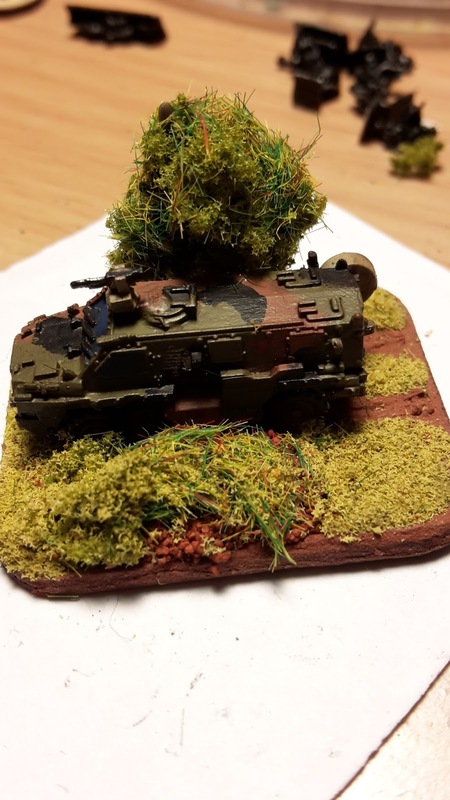 I currently have four ASLAV-25's (the cannon armed versions) and sixteen ASLAV-PCs (the .50 cal armed vehicles. The ASLAV-PC's are the modifications I spoke about earlier, the CinC LAV-C hulls with GHQ Stryker remote weapon systems. 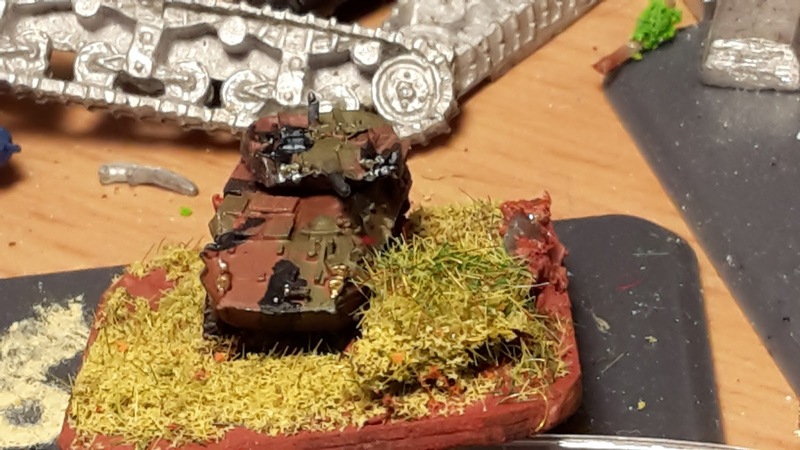 This is the completed Bushmaster - the photos below really show the difference the "Army Painter" strong tone wash has provided to the model. 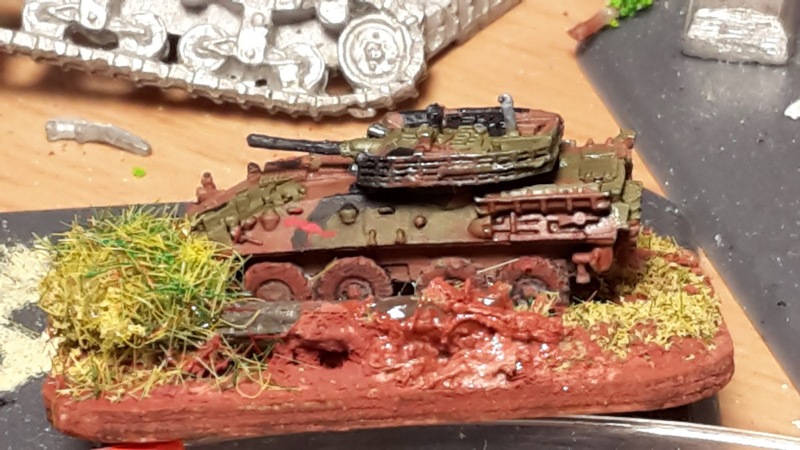 The first photo shows the model without the wash, the other two have the wash. Even in the slightly different light conditions the difference is distinctly noticeable... it finally has that "light sheen" look Aussie camo seems to have on most vehicles! Anyhow, hope you liked these shots - the next post is the Aussie infantry I have done to date!